This Sunday we see the tension between Samson and the Philistines begin to boil over in a series of vengeful attacks. How do you respond when you’ve been wronged? What happens in you head and your heart. What do you say and do? The answer to these questions has a great deal of influence on the level of peace, joy and love we experience in our lives. This is a worthy topic for me to consider… and for you too! To prepare read Judges 15:1-8. 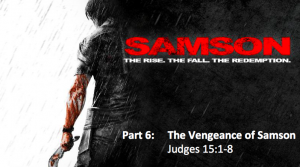 This Sunday we will look at the beginning of Samson’s activity as a Judge of Israel. It is very different than the other Judges we have seen. To prepare, read Judges 14. This week will will consider the life of Samson. Before we look at the details of the story, we will discover the main struggle he will experience his entire life. It is a struggle we, too, must face. 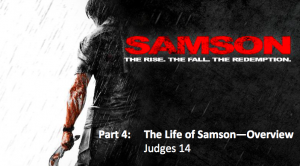 To prepare, read Judges 14-16 and think about Samson’s strengths and weakness (he has many of both!). It’s been a little while, but we will return to the Book of Judges and our study of Samson this week. Three weeks ago, we started to look at some “wonders” in the story of the birth of Samson. We spent some time seeing A Wonderful Birth and A Wonderful Life. This week we will continue looking at the story and discover A Wonderful Relationship and A Wonderful Sacrifice. To prepare, read Judges 13:1-25 and think about what this passage says about a relationship and a sacrifice. Last week we started to look at some “wonders” in the story of the birth of Samson. We spent some time seeing A Wonderful Birth and A Wonderful Life. Also, thank you Brownings for opening up you home for last week’s potluck lunch. It was a great time of food and fellowship (two of my favorite things!!). 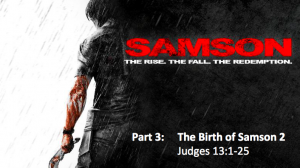 In Judges 13, we see the story of Samson’s birth. There are several interesting facets in the account. It is a story that may sound somewhat familiar (Why do you think I say that?). It is a story that is also rather miraculous (Why do you think i say that?). And it is a story that should excite and encourage each of us greatly (Why do you think I say that?). Also, we will be having a Potluck Lunch at the Brownings (2004 Woodhollow Cove, VB) after the service this Sunday. If you can, bring something to share! Join us July 22 after church at Brownings (2004 Woodhollow Cove, VB) for food and fellowship. Bring something to share! 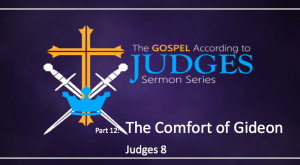 This week we will begin looking at the best known judge in the Book of Judges. In fact, he is probably one of the better know characters in the Bible. His name is Samson and he is a rather complex hero of the faith. 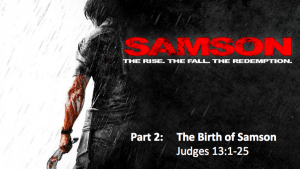 How much do you know about Samson’s story. 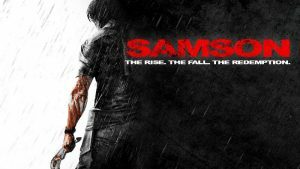 To begin, we will consider the conditions in Israel when Samson comes on to the scene (and see a lot of similarities to our world today). To prepare, read the story of Samson found in Judges 13-16. This week we meet another unlikely Judge. 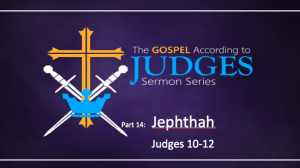 His name is Jephthah and his story is interesting and familiar when you start to study it closely. To prepare, read Judges 11. 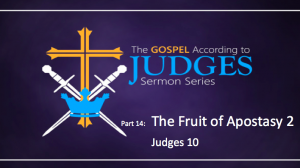 Lat week we looked at The Fruit of Apostasy as we studied Judges 9 and the story of Abimelek. It is not a pleasant world when we abandon God and try to live apart from him. This week we will continue to see what it is like when we abandon God for the idols of the world. To prepare, read Judges 10. In this chapter, there is something very interesting that takes place that is a bit difficult to understand… See if you can identify what I am referring to and we’ll unpack it on Sunday. This Sunday we will finish the story of Gideon. Last week we saw that Gideon overcame incredible odds to rout the Midianites in battle. But it was actually God who provided the victory. This Sunday, we see how Gideon finishes the battle and then, perhaps more importantly, how he handles the comfort and peace that comes to Israel. To prepare, read Judges 8.